The Wanderlust Series is a space created to talk about how travel and other cultures positively impact our lives and businesses, to inspire people to open their minds to the understanding of other cultures, to seek new adventures into the unknown and to forge a community of fearless explorers. During these events, we highlight creatives, entrepreneurs and business people that have been deeply influenced by their experiences abroad and can share how this has defined their current endeavors. These are intentional conversations about travel, immigration, integration, and discovery. Every month we have a different focus. Our senses play an important role in the way we relate to a place or a moment in time. When we walk around a place we hadn’t seen before, everything that we see, touch, smell or taste has an extra layer of magic and surprise. When language is a barrier, we can still generate a profound connection with a place through the experiences of our senses. Food is one of the main elements we remember the most when we travel and it’s also an important factor to determine whether we will return or recommend a place. We are always searching for the most authentic local food to have a real taste of the culture we are in and sometimes we feel inspired by all the new elements to come back home and try something new, like experimenting with a fusion kitchen or starting a new endeavor based on what we learned abroad. In partnership with The Juice Truck. Traveling is the most rewarding action we can take in order to develop our own personalities. Traveling solo is an experience that you should have at least once in your lifetime, however, it can be as exciting as it can be terrifying. Women are exposed to different levels of precautions and many times the fear of traveling alone prevents them from going on solo adventures. 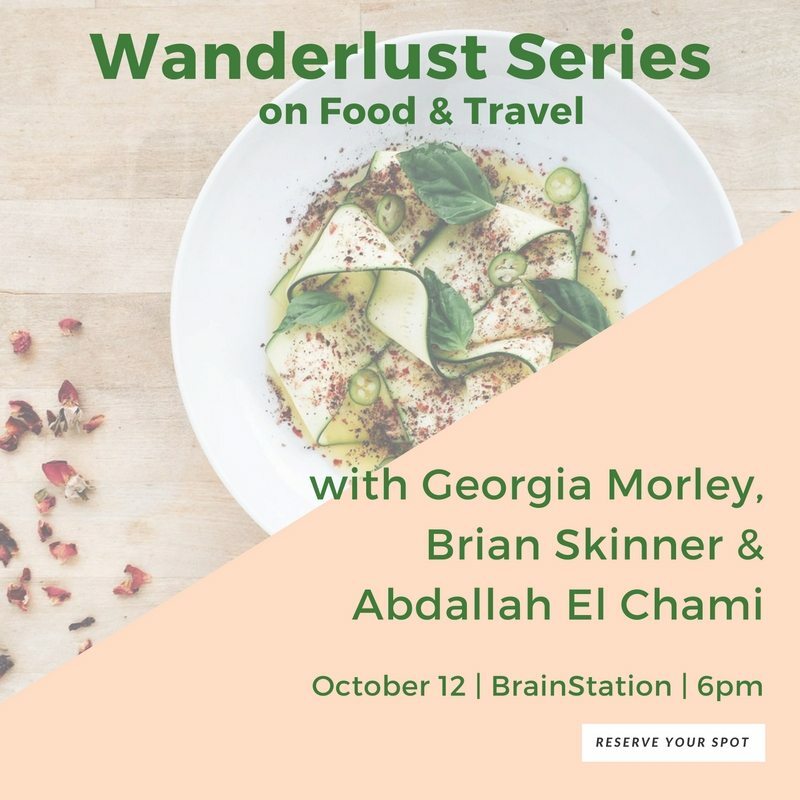 This Wanderlust event is focused on courageous women that have dared to get out of their comfort zone to go on solo trips, debunk social stereotypes, open their minds to new adventures and build careers and businesses out of it. 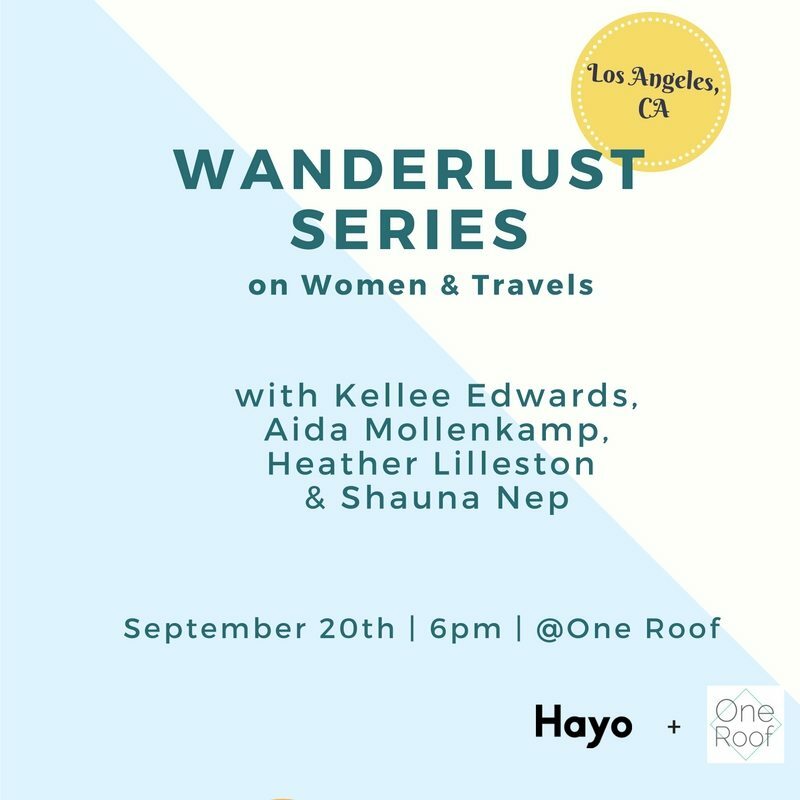 In partnership with One Roof Women, a community for nurturing and inspiring women that are making in happen, Wanderlust is coming to Los Angeles with a stellar group of speakers. Kellee Edwards, Aida Mollenkamp, Shauna Nep and Heather Lilleston come from very different backgrounds and interests that will make this an interesting and rich conversation. Men: please join us as well. You should be as much part of the conversation as any other woman!